When will be AfterMASH next episode air date? Is AfterMASH renewed or cancelled? Where to countdown AfterMASH air dates? Is AfterMASH worth watching? This two-season sitcom explores of the lives of three members of the 4077th after they return home. Colonel Potter returns home and takes a job as a doctor at General General, a veteran's hospital in Hannibal, Missouri. 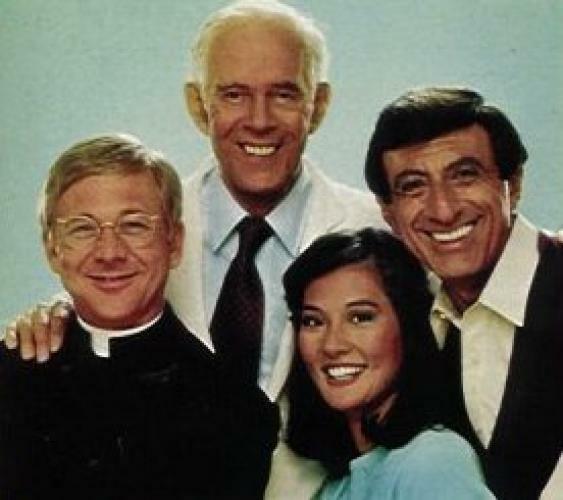 He recruits Klinger as an administrative assistant, and Father Mulcahy joins them as the hospital's Catholic chaplain. The Klinger baby causes friction between Mr. and Mrs. Potter, while Klinger tries to get mental disability from the VA and Dudziak tries to convince Boyer to attend group therapy. Meanwhile, Dr. Andy Caldwell arrives at the hospital for an internship. Klinger runs a hospital lottery, but trouble ensues when Soon-Lee has the winning ticket. Meanwhile, Dr. Boyer is laid up with a staph infection, bringing his anger and bad attitude to the post-op ward. Attempts at weekend romances are interrupted when the Potters' car breaks down and Wainwright revokes passes for the psychiatric ward. Elsewhere, the Klinger baby is christened and named. A Missouri thunderstorm leads Alma to practice her role as the hospital Civil Defense officer, the doctors to take refuge at a supply room poker game, and a mental patient to lock himself in the hospital fallout shelter after mistaking the storm for nuclear war. AfterMASH next episode air date provides TVMaze for you. EpisoDate.com is your TV show guide to Countdown AfterMASH Episode Air Dates and to stay in touch with AfterMASH next episode Air Date and your others favorite TV Shows. Add the shows you like to a "Watchlist" and let the site take it from there.